I personally believe that artists have the Midas touch. Any object they touch is magically transformed into a unique and exceptional piece of art. And more often than not, these are really expensive pieces of art. Adding to the list of some of the most expensive pieces of art is this new creation from artist Jack Armstrong. Dubbed the CosmicStar Cruiser ARTBike, it is the world’s most expensive ARTBike. 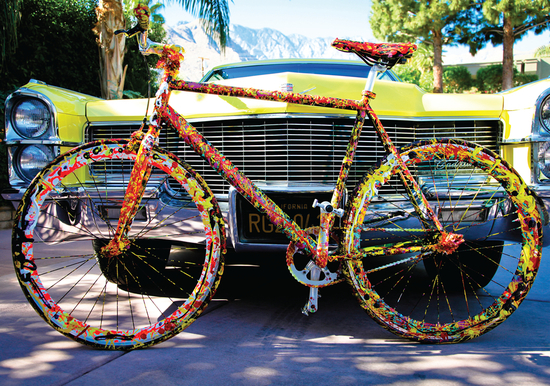 Valued at $1 million, this ARTBike easily surpasses the ½ million dollar bike created by artist Damien Hirst for charity. 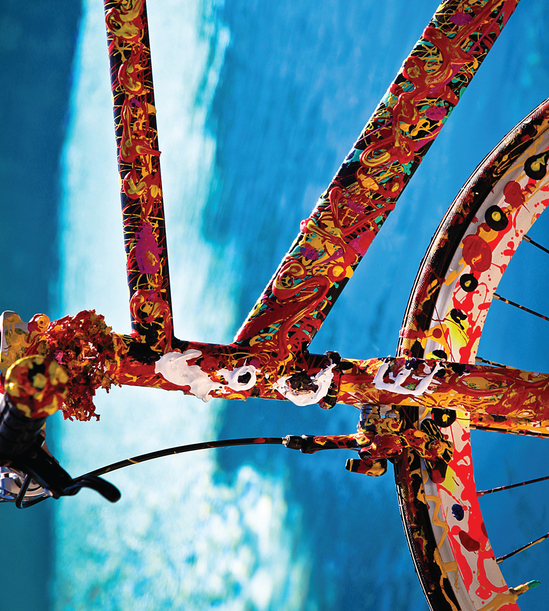 Created over a 6 month period on a SOLE beach cruiser made in Los Angeles, the $1 million ARTBike from Armstrong is truly a functional piece of art. 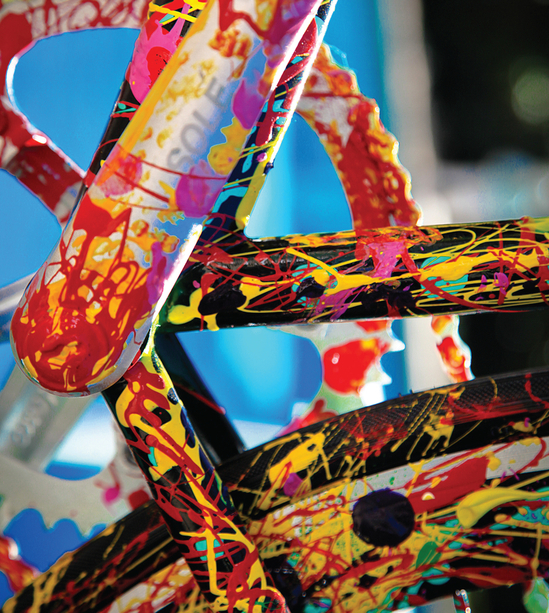 After winning the SOLE bike through an arm wrestling match with American Artist Kelsey Fisher, Armstrong began the task of repainting the bike in his “cosmic extensionalism” style of art. The bike was created in collaboration with Fisher and the two cannot wait to unveil it. 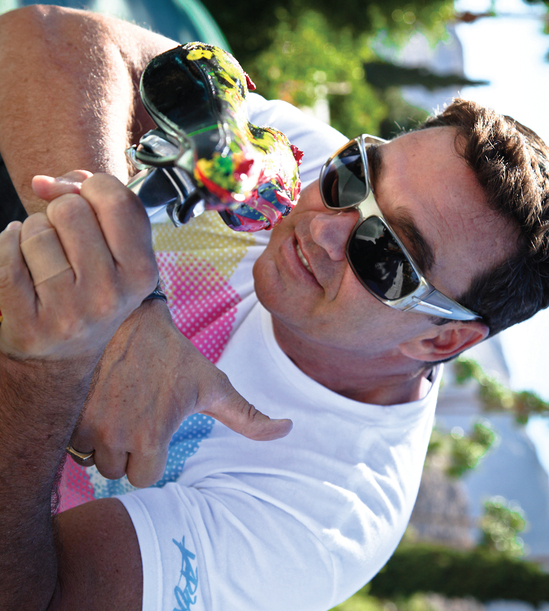 The bike with its unique colors, cosmic symbols and words written in paint will be unveiled by the artists to the world on December 8 at the Palm Springs Convention Center, Palm Springs, Canada. Armstrong will also unveil his final unpublished painting, the $6 million”Future Magic,” artwork which will serve as a backdrop for his ARTBike.